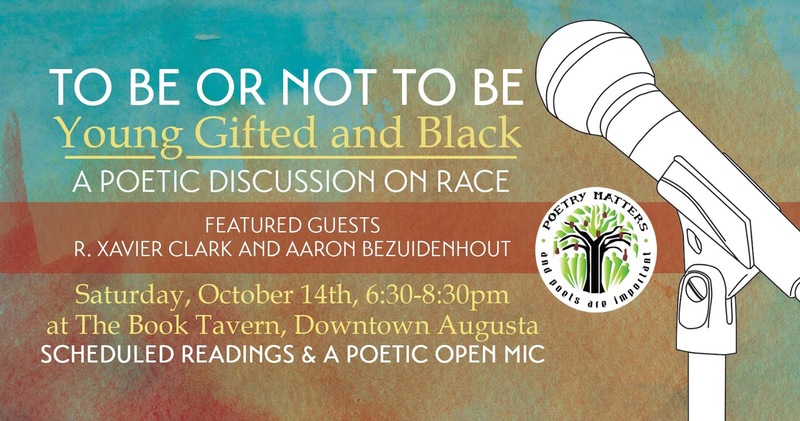 The Book Tavern and Poetry Matters Project have teamed up to discuss topics that has been on everyone's mind whether they share openly or not. 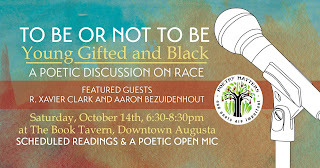 We discuss openly discuss matters regarding race and heritage. We have taken the discussion out of Facebook in boxes to face-to face conversation. We can share our views on kneeling in protest to demands for the removal of historical monuments. We have found that the forum brings more understanding than agreement but that's better than holding a thought with no safe place to air it. Poetry Matters Project has chosen to take the issue on using poetry as an entrance and literary commentary as a back drop and resource. The Book Tavern has joined to provide a place where topics can be discussed and writers and readers can find a middle ground to speak, teach and learn. The events are open to anyone who has a idea, update or even a question to share. The goal is not discourse but discussion. a place where we can agree to disagree and at the same time build community. And sometime even to set the record straight. We invite you the reader and your friends to join us. Who knows we may all learn something new. For more information. To sign up to share your poetic leanings. Email us info@poetrymattersproject.org. To learn what books we recommend visit our Facebook pages @BookTavern @PoetryMattersProject. Poetry Matters Alum Derek Berry is On the Move!